Owing to the importance of middle atmosphere, recently, a Middle Atmospheric Dynamics (MIDAS) program was carried out during the period 2002–2007 at Thumba (8.5°N, 77°E). The measurements under this program, involving regular radiosonde/rocket flights as well as atmospheric radars, provided long period observations of winds and temperature in the middle atmospheric region from which waves and oscillations as well as their forcing mechanisms particularly in the low-latitude middle atmosphere could be analyzed. However, a detailed analysis of the forcing mechanisms remains incomplete due to the lack of important measurements like ozone which is a significant contributor to atmospheric dynamics. Presently, profiles of ozone are available from TIMED/SABER (Thermosphere, Ionosphere, Mesosphere Energetics and Dynamics/Sounding of the Atmosphere using Broad Emission Radiometry) satellite globally from about 15 to 100 km, over multiple years since 2002. In this regard, a comprehensive study has been carried out on ozone and its variability at Quasi Biennial Oscillation (QBO) and Semiannual Oscillation (SAO) scales using TIMED/SABER ozone observations during the MIDAS campaign period. Before using the TIMED/SABER ozone measurements, an inter-comparison has been carried out with in situ measurements of ozone obtained under the Southern Hemisphere Additional Ozonesondes (SHADOZ) campaign for the year 2007 at few stations. The inter-comparison showed very good agreement between SABER and ozonesonde derived ozone profiles. After validating the SABER observations, ozone profiles are used extensively to study the QBO and SAO along with temperature and winds in the 20–100 km height region. It is known that the SAO in mesosphere and stratosphere are in opposite phases, but the present study for the first time reports the aspect of opposite phases in the mesosphere itself. Thus, the present work attempts to study the long-period oscillations in stratosphere and mesosphere in ozone, temperature and winds simultaneously for the first time over this latitude. 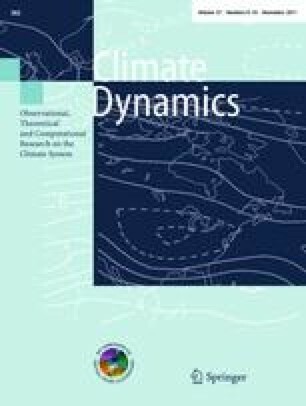 These observations provided a unique opportunity to explore long-period oscillations in chemistry, dynamics and thermal structure of the middle atmosphere simultaneously. The authors gratefully acknowledge the support received from Space Physics Laboratory, Indian Space Research Organization as well as the various participating institutions of the MIDAS campaign.